Did you know that 3rd February is Carrot Cake day? Cecilia's biggest gripe about carrot cakes sold in the market were its tough and dry texture, but unlike most people, she made it her mission to fine tune a dish that was optimal in texture without compromising on taste. Carrot cakes are believed to have been baked since the Middle Ages and Cecilia's mission to perfect her own carrot cake would see her spending months crafting the perfect concoction for her bakes. We were afraid that our video wouldn't do justice to her recipe but we were pleasantly surprised! It was a really easy recipe to follow and produce, best of all, Cecilia's carrot cake did not disappoint! Taste, texture and consistency were spot on and we wouldn't have done it any differently! 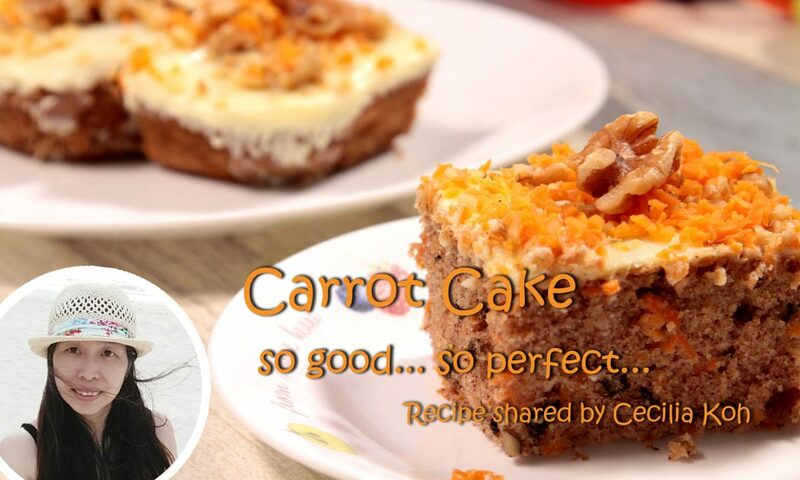 So here it is - Cecila Koh's Carrot Cake Full Recipe. 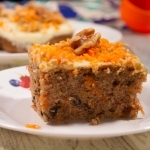 Carrot cakes are believed to have been baked since the Middle Ages and Cecilia's mission to perfect her own carrot cake would see her spending months crafting the perfect concoction for her bakes. It was a really easy recipe to follow and produce, best of all, Cecilia's carrot cake did not disappoint! Taste, texture and consistency were spot on and we wouldn't have done it any differently!